This week’s been particularly bad for losing notions because I’ve added hand-sewing needles and basting thread to the usual pile of things to keep track of. The dress I’m sewing has a lot of curved pintucks which need thread tracing. (Eight down, another six to go). 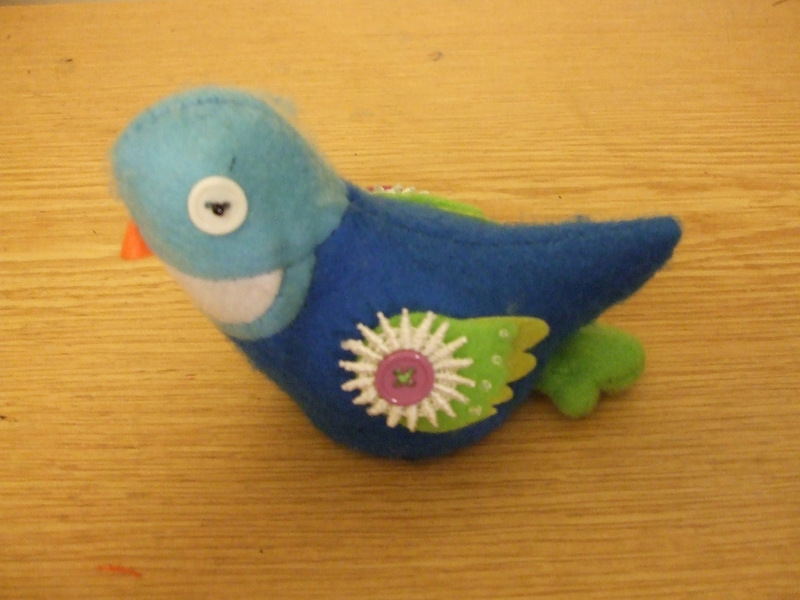 However this little guy, a present from my friend Jane, has come into his own lately. At first sight he’s just a handy pincushion. But pull his tail and he’s a retractable tape measure too! Brilliant. The retractable tape measure is much easier to use for small things than my regular one, and I haven’t lost any of my needles yet. He even hangs onto basting threads because they stick to the felt. Now I just need a pair of scissors with a homing device built in. Thanks Jane! Posted on September 28, 2011 September 26, 2011 by catherinedaze	This entry was posted in dressmaking, Notions, sewing and tagged dressmaking, notions, sewing. Bookmark the permalink. That is so cute! Might be a little creepy that the tape measure comes out of his behind, but still incredibly useful! I know exacly what you mean — I’m an extremely chaotic sewer, can never find anything! 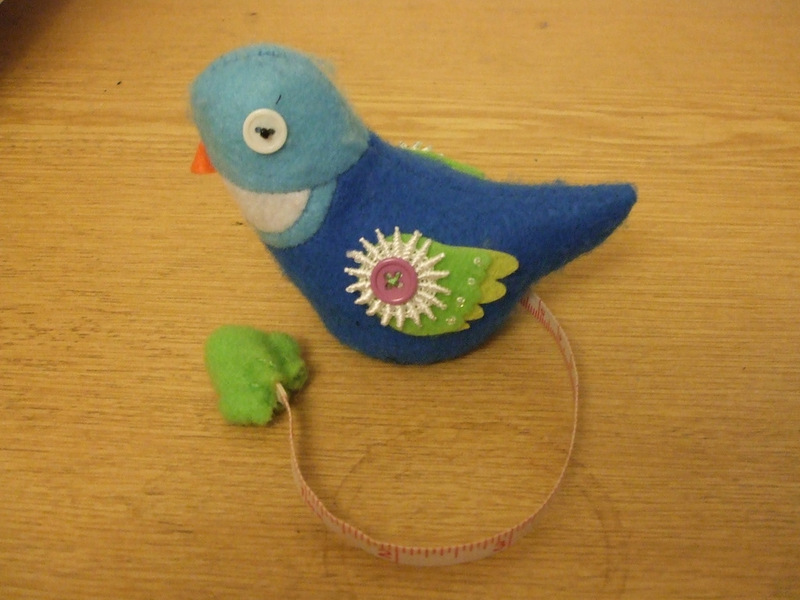 The Bird/tape measure/pin cushion is super cute – I also think it helps for the disordered amongst us to have everything all in one! Using a towel as a sleeve roll is a really good idea -will definately use that next time.